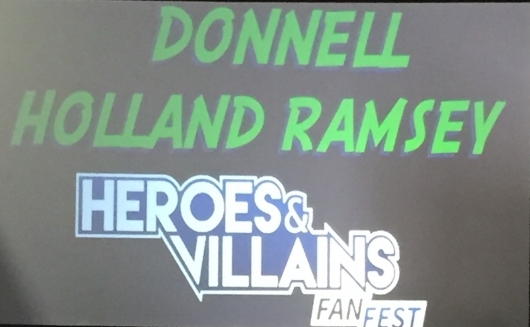 Day 2 at Heroes & Villains Fan Fest in Secaucus, New Jersey and the opening panel featured stars of the CW’s hit show Arrow hitting the stage. David Ramsey (Diggle), Willa Holland (Thea), Katrina Law (Nyssa al Ghul), and Colin Donnell (Tommy Merlyn) joined the moderators on stage. Ramsey, a few seconds late to the panel, sat next to Donnell who immediately commented, “For a minute there I felt like a large man.” They took audience questions for a majority of the panel.